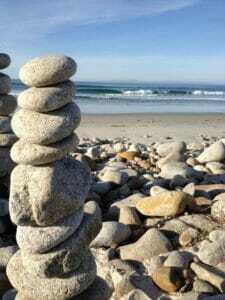 Beating Burnout, Pressure & Frustration! You don’t have to tell a single person in this business that it’s a very difficult and challenging niche to be in. We all understand this! My story is similar to many others in that when I got into the BPO business, years ago in September of 2006, I was ‘bright-eyed, bushy-tailed and ready to take on the world’ so to speak. For me, it was the absolute perfect time to become a BPO Agent. In the beginning, I walked around with stars in my eyes and I was filled with excitement about all the possibilities that being a BPO agent could bring. Looking back now I see how naive I was and how I grossly underestimated what lay ahead for me. I simply didn’t make time for or see how critical it was to have a plan in place to help guide me. And since no one has a crystal ball to look into to help predict what the future holds, I simply went with the flow and didn’t put much thought into how my decision to be in this business would impact me. Although, I couldn’t possibly know or predict at the time what experiences I would go through, I did know that I was committed to doing my best. So, I blindly moved forward with optimism, eagerness to achieve and a can-do attitude. Hopefully you see yourself within my words too! For the next few years I let myself work way too much. I didn’t follow a routine or a schedule and quickly rolled my eyes and laughed at those that did. It only took me a few months of working without guidelines, a routine or a set schedule to feel drained and burnt out, but I kept pushing through it. I didn’t feel like I had a choice, I guess. At this time, I also didn’t think twice about the need to have balance in my life and subsequently I burned myself out quite badly. In fact, I did so a few times during the next 4-5 years. Fast forward to today and I am in a much better spot! Thankfully! Being self-employed in general is wonderful, but one of the pitfalls to be your own boss is realizing the importance of working certain hours and closing things down when facing the end of our work day, no matter what! BPO Mills and companies ask so much of their BPO vendors. We are seen as a dime a dozen and disposable, but we aren’t! It’s simply not worth killing yourself ever! If a company is strict, demanding or unrealistic about their expectations of you, your workload and the schedule that you are available, then you are doing a disservice to yourself if you don’t put up boundaries and expectations of what you are willing and able to do. Plus, with the low dollar amount that these companies pay to have a BPO order completed (dwindling every year more and more), you truly have to and must stand up for yourself at all costs or you will start to feel taken advantage of more and more. Starting and Leading Through Your Day with a Routine. You will want to create a routine for yourself that is realistic and one that you actually can follow, consistently. I sat down and wrote out a list of items (both personal and business tasks) that showed themselves to me as something that I did repetitively. I put reminders on my cell phone and have a white board that I hung up where I can see it. During the first 6 months of being in the BPO business, I learned a lot of invaluable lessons from myself and from others. One of the most important lessons I learned was to not accept too much work, period. Like many, I didn’t enjoy working on the weekend and on holidays. I learned to say no! I also learned about the value of having systems in place. I was fortunate enough to know that I didn’t want to do everything myself in order to grow and be more successful, so I turned to using systems and technology to help me. I also decided to work ON my business, instead of IN my business. I enlisted a team, I trained them and then I managed things. This worked great! Within less than a year of being in the BPO business, I learned what dollar amount my time was worth to me. For me to feel good about what I was doing, I decided to not work for less than this dollar amount. Which was $50.00 for a company that didn’t give me a lot of work and no less than $45.00 for a high-volume company. By doing this it helped me not feel taken advantage of by BPO mills because I stayed true to myself and my needs. Once you consistently put a few of the above items in place you will see and feel a difference over time. You shouldn’t feel burnt out, pressured or frustrated because you have decided to take steps and action to ensure your overall well-being. 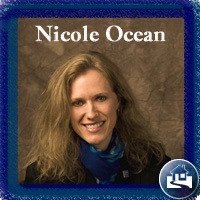 Founded by certified real-estate instructor / BPO-trainer Nicole Ocean, the BPO Automation Group is focused on delivering the very best software and solutions to BPO & REO professionals nationwide with unparalleled service and support.